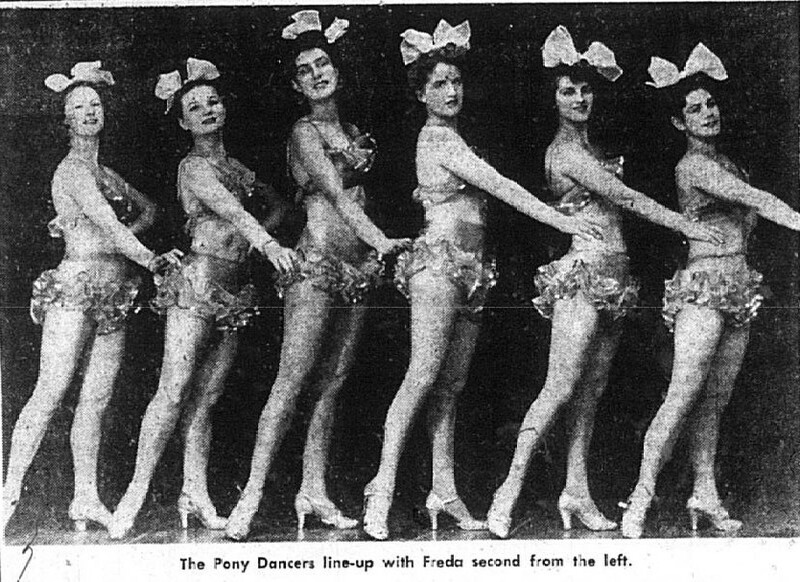 Ref: The Pony Dancers. From: The New Zealand Herald, 9 August 1975. Auckland Libraries. Ref: Clifton Firth. Freda Stark, 1947. Sir George Grey Special Collections, 34-409. Ref: Advertisement for The Lucky Lovelies. 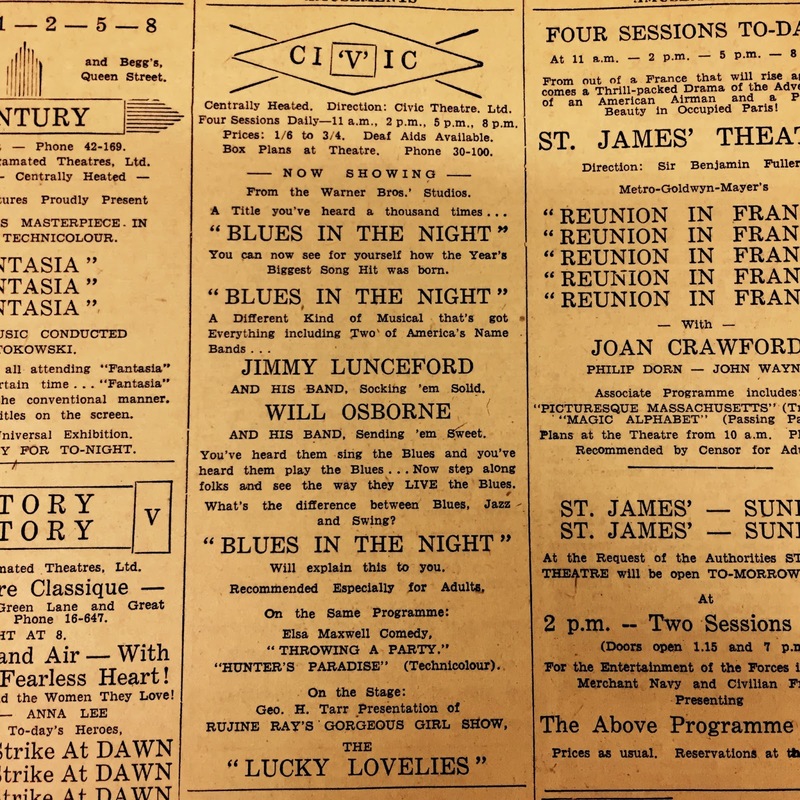 From: The Auckland Star, 7 August 1943. Auckland Libraries. Take it off! Take it off! cries a voice from the rear. Down in front! Down in front! Soon it’s all you could hear. So she stops! and always just in time. “It used to make me laugh when they shouted it out. I know that they tried to embarrass you. But we took it in good part,” she said. Ref: Meeting a Nightclub Showgirl. From:The Auckland Weekly News. 21 October 1942. Auckland Libraries, AWNS-19421021-17-1. 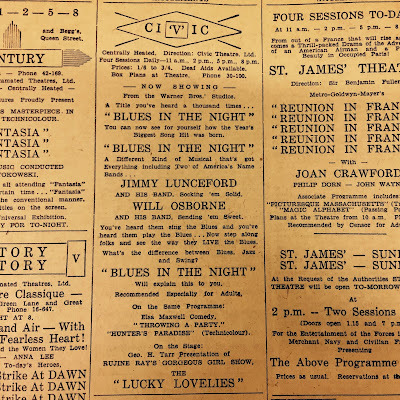 Freda Stark said dancing at the Civic when the Americans were in town was the happiest time of her life. “I was bored stiff after the war,” she said, and moved to London afterwards. After Freda died in 1999, The Civic Theatre renamed its cocktail bar “Stark’s” in her honour. Cherie Devliotis. 2005. Dancing with Delight: Footprints of the Past. Dance and Dancers in Early Twentieth Century Auckland. Dianne Haworth & Diane Miller. 2000. Freda Stark: Her Extraordinary Life. Harry Bioletti. 1989. The Yanks are Coming: The American Invastion of New Zealand 1942-1944.